When four Derby College students are reported missing, few in Derby CID, least of all DI Damen Brook, pay much attention. But then a film on the internet is discovered purporting to show the students committing mass suicide. If it’s real, why did they kill themselves when they had such bright futures ahead of them? If the suicides are faked, why the set up and where are the students? And if they’re dead and have been murdered, who on earth could have planned such a bizarre and tragic end to their promising lives? 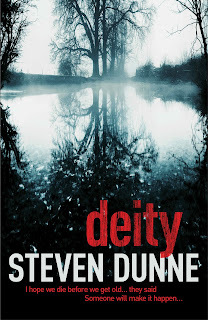 A solid combination of British police procedural and serial killer thriller, ‘Deity’ is the third book from Steven Dunne featuring world-weary detective, DI Damen Brook. Focusing on the mysterious disappearance of four students and the discovery of seemingly unrelated bodies showing signs of Egyptian death rituals, Brook and his team find themselves immersed in two utterly mystifying cases that will test them, and Brook in particular, to their limit. With more than one or two red herrings and blind alleys along the way, Dunne has carefully crafted a clever hybrid of two crime sub-genres that will appeal to fans of the straightforward police procedural in the style of Peter Robinson or John Harvey and the darker psychological and visceral edge of Mo Hayder. I think the main strength of this book throughout is the character of Brook himself, who has some personal issues of his own that colour and confuse his relationship with his colleagues and his estranged daughter Terri. Terri has suffered enormous personal tragedy and as she builds bridges with her father, Dunne captures their changing relationship beautifully. A point of humour in the book is Brook’s relationship with his work colleagues where he displays an off-handedness and lack of interest to the nth degree, and relies heavily on his police sidekick DS Noble to almost act as an interpreter for him when relating to people on a more personal level. Brook has a cynical, yet determined, mindset and does not suffer fools gladly, and in the slowly revealed back story has more than enough reason to conduct himself in the way he does having been involved in a notorious and unresolved serial killer case at serious personal cost. He displays the traits of a typical grumpy old man slightly at sea in the face of modern culture and technology, and who abhors the use of incorrect English and swearing, which again levitates the seriousness of the central plot with some nice comic touches. I think the strength of characterisation of Brook does carry the book, as I did find the plot a little langorous for my taste, and by the 400 page mark was feeling that it was slightly unnecessarily drawn out, although the conclusion was satisfying enough and left an interesting little teaser for the next in the series. None of the other characters resonated particularly strongly with me, but in the best traditions of crime writing, were all guilty of some of the nastier aspects of human nature and muddied the waters of detection well enough to test the reader’s own powers of deduction. Overall a stronger police procedural than serial killer thriller, I would say, and an enjoyable read. I will certainly seek out the first two books, ‘The Reaper’ and ‘The Disciple’ on the strength of DI Brook’s character and to know more about the previous case that has had such a profound effect on him. All in all a good discovery, and another strong addition to the British crime stable. At the top of the month I read Miles Corwin- Midnight Alley, a writer of LA police procedurals featuring Jewish detective Ash Levine and snapping at the heels of Michael Connelly and Joseph Wambaugh. I also reblogged my review of The Killing Season by the same author which is a true account of the lives of LA police officers and a perfect read for fans of the excellent ‘Southland’. Don’t get me started on ‘Southland’ as I’ll talk about it endlessly! Following on from Corwin, I not only read Simon Toyne- Sanctus/The Key but also discovered this unassuming author’s secret talents here in An Interview With Simon Toyne. All I can say is keep your eyes on next year’s Strictly line-up. No, but seriously, I thoroughly enjoyed both books and am eagerly anticipating the concluding part of the trilogy next year. Next up was Ethan Cross- The Shepherd/The Prophet a couple of violent serial killer thrillers with an incredibly enigmatic psychopathic killer who more than made up for the slight weaknesses in the plot. Then a quick trip to Oz with a gritty little debut in the shape of Luke Preston- Dark City Blue. I thought this was entertaining, sharp and full of promise for the future and it’s definitely vying for top read of the month…but more of that later. Then in quick succession, a fascinating factual account of seven centuries of London crime Max Decharne- Capital Crimes and a startling little Japanese crime novella Fuminori Nakamura- The Thief which impressed me with its sparsity of style but engaging plot. Last, but not least, on the blog was Peter May- The Chess Men (Lewis Trilogy 3) the last book in the accomplished Lewis trilogy but perfect for new readers as May effortlessly includes enough back story to keep one up to speed. 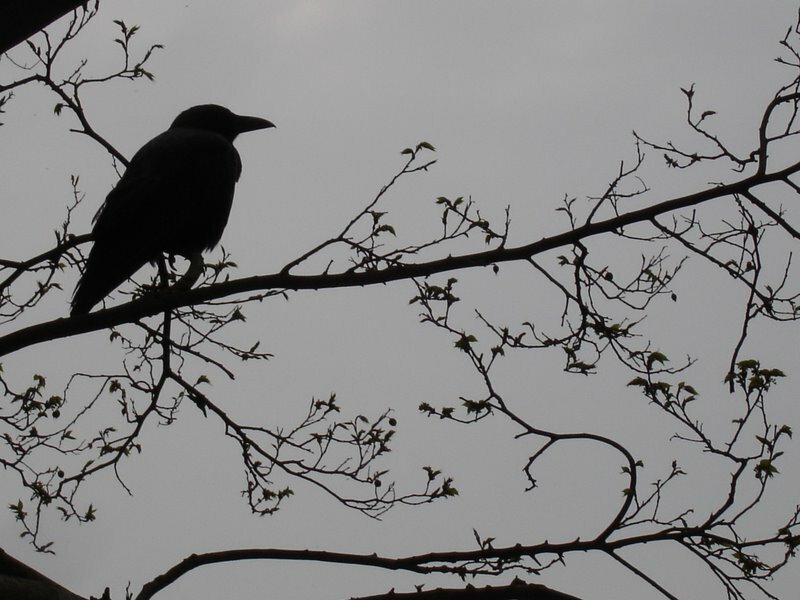 An intriguing murder mystery, but full of human turmoil and fractured friendships. Wonderful. Outside of the blog I have also read Simon Kernick’s ‘Siege’– a high octane thriller with more than a nod to Die Hard; Sara Gran’s ‘Come Closer– a strange little tale of the supernatural; Alex Grecian’s ‘The Yard’ an historical thriller set in the aftermath of Jack The Ripper, marred slightly by some loose Americanisms, and finally, Agnes Desarthe’s ‘The Foundling’ a bijou but perfect French tale of life in the shadow of loss. 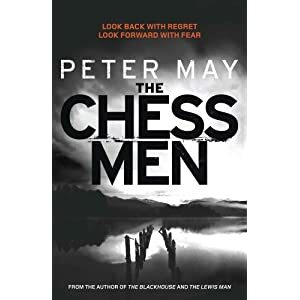 A good month indeed and the winner for Raven’s book of the month is…..
Peter May- The Chess Men (Lewis Trilogy 3)– a brilliant conclusion to a highly enjoyable trilogy, and a very creditable second place to debut author Luke Preston- Dark City Blue.-bonzer!